The Hosa Little Bro Sub Snake is a compact, pro-quality snake. 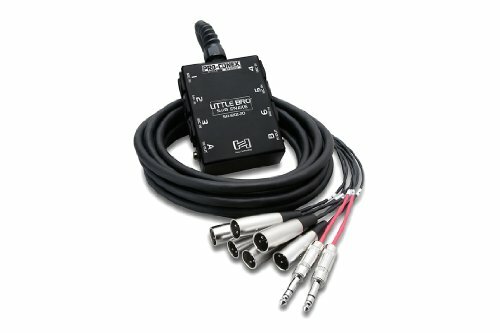 Perfect for the stage or studio, this snake provides 6 XLR channels and two balanced TRS sends, which can be used as returns as well. Use one or two sends as your monitor return(s) and you have everything taken care of in one simple connection. Compact design has Six Mic Sends and Two Multipurpose balanced TRS Sends. Asterope Pro Studio 1/4 Inch Right to Straight Instrument Cable Purple 20 ft.